FTS in the News at Wildfire Technology Innovation Summit - FTS Inc. 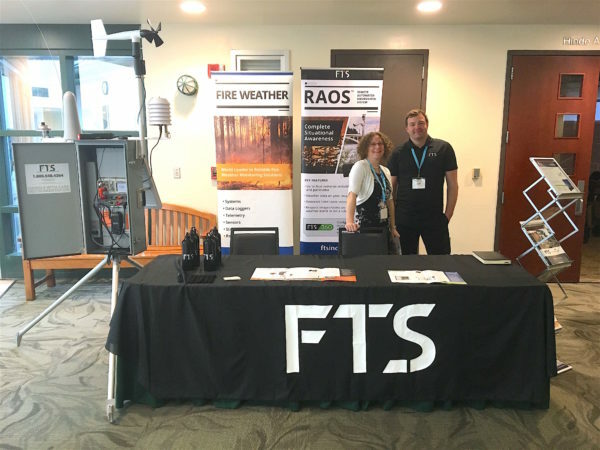 This past week FTS was a gold sponsor and exhibiter at the Wildfire Technology Innovation Summit. In attendance were national and international thought leaders and practitioners from state and local governments, academia, industry and others. There were speakers and engaging discussions about the challenges of wildfires and what innovative tools can help better manage these devastating disasters. Check out the news story.